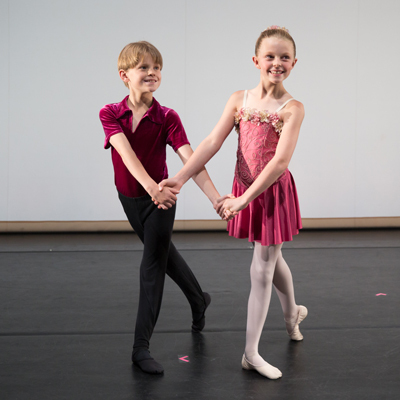 In addition to classroom work, students are given opportunities to perform in our annual recital in the spring and in Aspen Santa Fe Ballet's production of The Nutcracker, at The Lensic Performing Arts Center, alongside professional dancers. We consider performance opportunities a valuable part of training and invaluable to the growth of the student; developing stage presence, musicality, discipline and confidence. The 2018/2019 school year will conclude with a recital on May 25 for all students Creative Dance through Advanced.